Nepal is one of the most beautiful countries in the world with the Himalayas and mountain scenery. It is popular with trekkers, wildlife enthusiasts and people who love an adventure. Early in 2015 Nepal was affected by a devastating earthquake but is on the road to recovery. There has never been a better time to visit and support the local economy so take a look at these highlights for visitors to Nepal. Been to Nepal 4 times, one of the trips I drove from New Delhi to Kathmandu, it took me 3 days with a over night stop in Bihar India and another night in Pokhra Nepal. Most people spend time in Kathmandu, Nepal’s capital city. Head to the historic Durbar Square and walk among the ancient royal palaces. You’ll get a chance to see the Living Goddess and the many street traders crowding the alleyways nearby. For shopping and some great restaurants head to Thamel which is full of places to eat and find souvenirs. And for escaping the crowds relax in the tranquil Garden of Dreams. Many people come to Nepal to trek in the Himalayan foothills. There are classic treks taking around 10 days to the Annapurna Circuit and a classic hike to Everest Base camp. Or, you can walk from village to village staying in tea houses. Another good high altitude trek is to Gokyo Lakes. Preparation is essential as you’ll be walking at high altitude and need to be physically fit. Taking an organised trek is highly recommended so you have the guided support and expertise as these are areas where conditions can change rapidly. These vacations are the experiences of a lifetime and you’ll be blown away by the spectacular scenery and welcome from the locals. Nepal’s lowlands are famed for their wildlife experiences and this is another popular way to spend a holiday in Nepal. The Chitwan National Park is world famous and full of species from tigers to rhinoceros and elephant. You may also see leopard here and buffalo. Bardia is the other famous wildlife reserve in Nepal and this one is more remote but just as exciting. 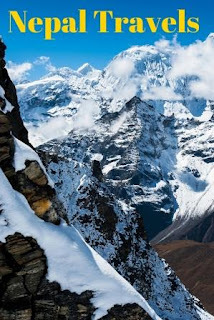 On a clear day the mountain scenery over the Himalayas is spectacular and one of the best ways to see Everest, Lhotse, Amadablam and more is to take a flight over the mountains. These special flights can be booked in advance and are perfect if you are limited on time and want to see the highest mountains in the world. 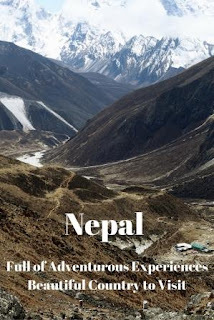 For the adventurous the rivers of Nepal are a big attraction. White water rafting is an exhilarating and wet way to see the rivers and this is an increasingly popular sport. The Dudh Khosi River has some superb white water where rafts are available to visitors with a guide. There is kayaking too and near Kuringhat visitors will find guided tours by kayak. Nepal is full of adventurous experiences and is a beautiful country to visit. From tasting the food to walking the foothills you’ll have an amazing time here. Now is the time to go before all the crowds return.